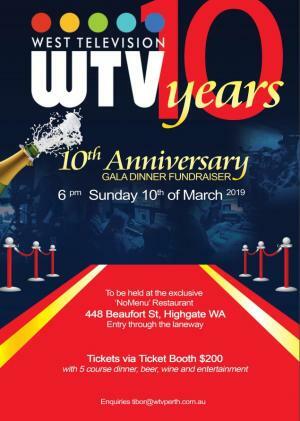 This is WTV's 10th Anniversary Gala Dinner Fundraiser. We are celebrating 10 years on air and would need your support to keep going! WTV prides itself as the voice of the community. Your ticket purchase and proceeds from auctioned items will go towards maintaining independent media in Australia.